Covenant | Looking for that Blessed Hope! The writer of Hebrews tells us that we, the church, would be able to “see the day approaching”. That day would be the rapture and the end of the church age for those of us that are watching. Today in a sense, we know we are living in the last days by developments in Israel and around the world. But yet, we really don’t know exactly how close we are to His return. Interestingly, the word approaching, is used only two times in the bible. Number two; the number for divisions. The other reference is made in Isaiah chapter 58. If you did not already know, the book of Isaiah is like a mini bible. In other words, every chapter of Isaiah makes a reference to every book of the bible in order. The 58th book of the bible is Hebrews. In chapter 58 of Isaiah, the Lord exposes the hypocrisy and shallow worship of His people; then and now. The word trumpet is used as a warning against sin rather than the blessed voice of God calling us home 1Co 15:52, 1Th 4:16. Much has been said in the media about the Trump administrations “peace plan” for Israel, its’ borders, and the Palestinians. We don’t know the details yet, but surely would involve monetary grants to some of the surrounding neighbors of Israel and the changing of borders with Israel and their neighbors. The Trump team recently recognized the Golan Heights as Israeli land. The details of the plan probably will not be released until after the Israeli general election that will be held on April 9th of this year. Will Netanyahu remain in office, or will another prevail? We know by bible prophecy that this covenant, if embraced, will not last as God never intended for the original land He gave to the Jewish people to be divided. And we know there are yet many regional prophetic conflicts waiting to be fulfilled most likely before the beginning of the Tribulation. Some of those below. 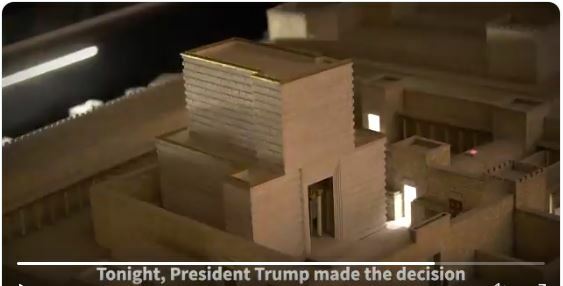 Everything is already in place for the establishment of the third temple. Establishing the third temple as part of the U.S. backed peace plan/covenant would certainly be enough to get the ball rolling and would give Christians a real, undeniable, confirmation that the day is approaching and the church age is coming to an end! Then would we not “exhorting one another: and so much the more, as ye see the day approaching“? Exhorting means to strongly encourage, comfort, and strengthen. After much prophetic regional conflict occurs (listed above), Daniel 9 tells us the antichrist will confirm the covenant. The wording suggest a previous covenant (Trump’s peace plan?) had already been implemented to some extent (and obviously broken), and that he (the antichrist) would confirm it. To confirm something means to establish the truth, accuracy, validity, or genuineness of; to make valid or binding by some formal or legal act; sanction; ratify. You get the idea. The passage does not say the antichrist creates the covenant, but confirms it.